Thanks for the encouragement. My head is clearing, although my nose is still like a tap needing a new washer. Summer colds are the pits and this one hit suddenly and hard. This little pair of socks is for a little girl in Canberra. I'll post them tomorrow, long with something for her mum and possibly some chocolate too if I can find any good stuff near the post office. This sock wool goes on and on and on. It's Heirloom Jigsaw and this pair was made with the leftovers after making a pair two years ago for one of my granddaughters. It's pink, in your face pink, raspberry icecream pink. It's not a colour I'd willingly choose again, but there is still enough left for a pair of baby socks or perhaps bootees. I remembered from granddaughter's socks that the wool does not look good with a lacy pattern. I undid my first attempt for her. So these are plain except for the scalloped top edge. It was fairly easy to match the stripes. Actually, I really don't care for myself whether the socks match or not, but the stripe is so definite that this pair needed to match. These stripes do match. Finally some proof, although the photo is dark of that Shantaram socks really do exist. 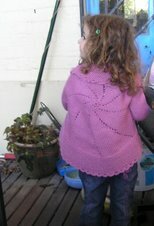 This is from Ailsa's first delivery of yarn in her Indian Summer yarn club. I've been very happy with this, even though the colour is not something I'd normally consider. I'm even happier with the lovely 50/50 merino/silk mix. The second sock here is part way through the heelflap. I did eight repeats of the pattern down the leg but only seven on the foot, so there's not too much further to go. My head is now clear enough, I hope, to return to the Bollywood capelet in the 50/50. I've seen a couple finished and am looking forward to finishing mine. A friend is busy clearing out a lot of stuff from his house in preparation for painting and new carpet. He called unexpectedly today with some stuff that had been his mother's. She died about twelve years ago! I did not know but she'd been a dressmaker, working from home. There was a big bag of vintage buttons. This picture shows just some of them. The buttons in the top right of the picture were in an envelope marked "very small buttons." Indeed they are. Some of them are about a third of a centimetre in diameter, perhaps smaller. They are tiny like tiny periwinkle shells on the beach. It's a bit hard to see but there are some lovely pearly buttons in the centre of the plate. Some of the buttons are strung on sewing cotton and I remembered that when I was small, neither my mother nor my grandmother ever threw out clothing for rags unless the buttons had been cut off and threaded on sewing cotton. Some more of the buttons. the small container in the middle has some lovely glass buttons, although details are hard to see here. To the left of them are some metal buttons and there are two largish bags. One has dozens of small shirt buttons in it and the other has old fashioned trouser buttons, again dozens. I certainly travelled back in time when I saw these. Some of them I can picture on my mother's dresses when I was small. I also remembered how much I enjoyed going through grandma's button jar on a rainy day. She could tell me where nearly every button had come from. Then I remembered another rainy day pastime, often in the school holidays. Mum would allow me (!!) to get out the Silvo and I would shine all the cutlery, the sandwich trays, fruit bowls, cake stands and whatever else I could find to polish. Then all would be washed in hot soapy water and dried. I don't think I ever realised that my enjoyable task was one my mother hated doing herself. Finally, a picture of the plate the buttons were on. I don't know how old it is, but it's much older than the buttons. I'd say possibly late 19th century, perhaps 1880s. It was always on grandma's dressing table, holding bobby pins etc. and was old then. It's not any great quality, has no brand on the back and is fairly rough on the reverse with some unglazed areas. However, I like the lily of the valley design. Since we moved, I've unpacked most of my own linen and some keepsakes like this. They make the place comfortable and more familiar. We're all happy here, enjoying the area and its closeness to attractions, shops and transport. We also very much enjoy the open plan ground floor with lounge, kitchen and dining all opening together. Oh what a lovely post, I love the socks, the pink ones are so pretty and stripes MUST match in our house, and the green ones are gorgeous!! Your buttons are wonderful, how lucky you are. What a good thing you liked the jobs your mum hated!! What a lovely stash of buttons!! What possibilities! My mum used to "allow me" to help her clean the silver too. Although I'm not sure I enjoyed it as much as you did! How wonderful that your friend thought of you with those buttons. I know my daughter used to love going through my button jar on a regular basis just to play with them. I love those pink socks, and yes stripes are very nice. Those green ones are gorgeous. Ailsa's yarns are lovely arent they. I hope you enjoy the buttons! 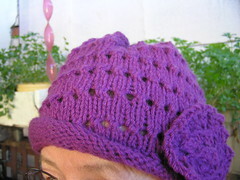 think of all the knits that can now be adorned! yes I'm another one who was 'allowed' to clean the silver - for sixpence [ 5 cents ] a piece for the big stuff and a penny for cutlery.